Bed and breakfast accommodation came in for a verbal battering as Horsham District Council took steps to launch its own affordable housing company. Placing homeless people in temporary accommodation costs the council hundreds of thousands of pounds each year – around £300k in 2018/19 – a bill which members are keen to lose. At a meeting of the cabinet, there was unanimous support for £10m being invested in the new company, which would deliver some 70 homes across the district in its first four years, starting with Billingshurst and Henfield. As well as cutting bed and breakfast costs, the new company would enable the council to reduce the number of people on its housing waiting list. Tricia Youtan, cabinet member for community and wellbeing, told the meeting that ‘horrible bed and breakfast accommodation’ was ‘the most gruesome way’ to live, and praised the work already carried out to provide decent affordable and temporary homes in the area. A report put before the cabinet listed that work as: delivering the highest number of affordable homes in Sussex during the past three years; providing £9m of funding for 1,107 affordable homes since 2010; and investing more than £5.5m in 34 temporary homes, the last 17 of which will be completed this summer and winter. The new company will be built on a two-company model – a property development company and a property holding company – with council staff serving as directors on both. To prevent any conflicts of interest, neither councillors nor statutory officers will be allowed to serve as directors. 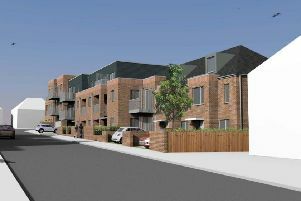 Full council will be asked to approve a payment of £500,000 and the release of council-owned land to the development company, as well as passing S106 funds to the holding company to buy completed affordable homes. A report to the meeting said the development company would operate at a loss of around £210,000 over the first four years, while the holding company would see a pre-tax profit of around £325k in year four. Philip Circus (Con, Chanctonbury) said he was proud of the council’s ‘bold and outstanding’ commitment to affordable housing, while Brian Donnelly (Con, Pulborough & Coldwaltham) said the initiative was ‘quite awesome’. Describing the cost of bed and breakfast as ‘unwelcome’ for residents and the experience ‘dreadful’ for families, he added: “It’s great what we’re able to do. “We can allow more and more people who are suddenly caught in this awful situation of losing their home, for whatever reason, to stay together as a unit.